4114mm x 3016mm 13'6" x 9'11"
6740mm x 3230mm 22'2" x 10'7"
4660mm x 4293mm 15'4" x 14'1"
5395mm x 4380mm 12'8" x 14'5"
3319mm x 2965mm 10'11" x 9'9"
4975mm x 3305mm 16'4" x 10'10"
2500mm x 1965mm 8'2" x 6'5"
Brand new two and three bedroom apartments in this exclusive 22 acre setting surrounded by mature woodland and yet located just one mile from Ascot High Street. Each apartment further benefits from private outdoor space – either gardens to the ground floor properties, a balcony, or terraces to the penthouses. 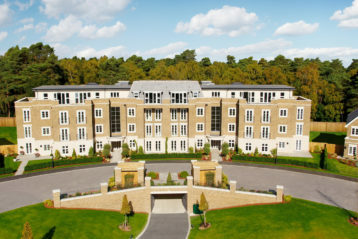 There is a high specification throughout and secure underground parking for two cars.